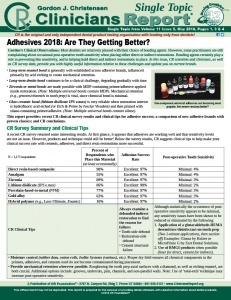 Adhesives 2018: Are They Getting Better? 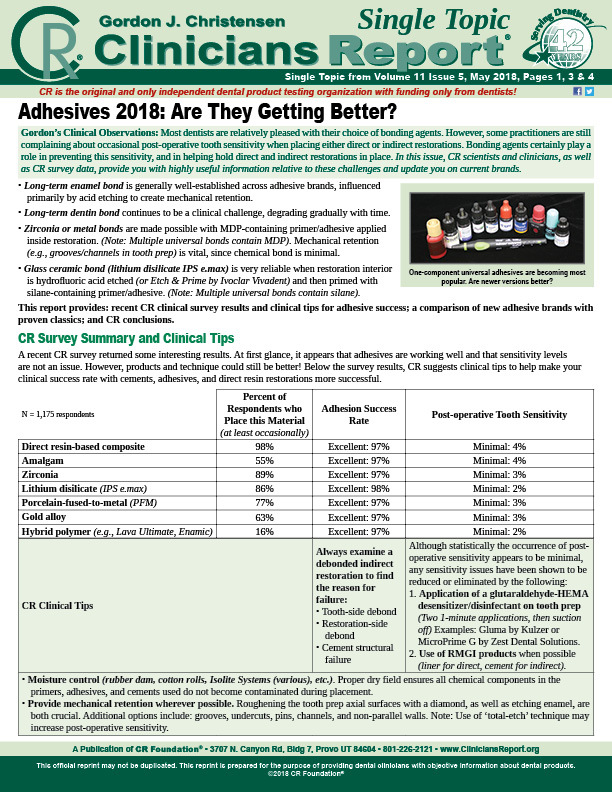 This report provides CR clinical survey results, clinical tips for adhesive success, and a comparison of new adhesive brands. This is one article from the May 2018 issue of Clinicians Report. This is one article from the May 2018 issue of Clinicians Report. For the entire issue, please go to May 2018.